Do you want to prove your social enterprise credibility? To stand out from the crowd, and prove your social enterprise is creating social value, you should apply for Social Enterprise Mark accreditation. To qualify, you must meet the Social Enterprise Mark qualification criteria, which is summarised below. 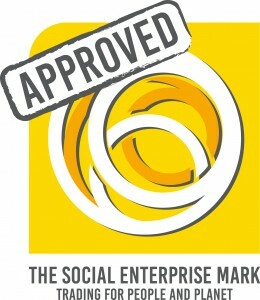 Below you can review the criteria, necessary documentation and the annual licence fees for the Social Enterprise Mark. Or does your organisation want to be the best at what it does, striving to achieve social enterprise excellence? If your organisation is seeking enhanced accreditation, showing best practice in proof points across the following areas, then you should apply for the Social Enterprise Gold Mark. Applicants will need to confirm that no other public or Government agency, or other private corporate bodies hold decision making control of the organisation. Applicants will need to prove that at least 50% of income comes from trading. Trading income is defined as income from sales, fees, contracts, service level agreements but NOT pure grant awards, investment income, donations and loans. This information can be found in company annual accounts. The organisation’s constitution should confirm that it is trading in support of a clear social and/or environmental purpose and that a principle proportion (51% or more) of any profit made* by the business is dedicated to such purposes. *Please note it is not mandatory that your organisation makes a profit, but at least 51% of any profit made will need to be dedicated to social/environmental purposes. Applicants must commit to a statement that as a Mark Holder they would strive to maximise social impacts and minimise environmental damage. Applicants must also demonstrate how they have strived to fulfil their social purpose over the previous year, which involves answering a set of questions designed to explore this. Applicants are invoiced up front for the licence fee. In the unlikely event that an application is unsuccessful, the licence fee will be refunded, minus a £200 assessment fee. International applications will be subject to an additional non-refundable administration fee of £150. You can find out more about what’s involved in applying for accreditation in our full application and assessment process – from start to finish in 6 simple steps. If you are interested, all you need to do is complete our short registration form and we will then be in touch within 2 working days to discuss the next steps. If you would like help to meet the criteria, for example changing your constitution, please ring the helpline on 0345 504 6536. 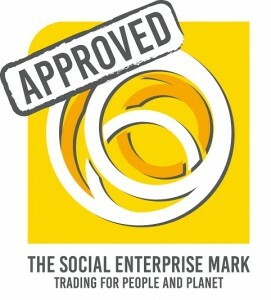 If your business has been operating for less than 1 year, please contact us for advice on achieving the Social Enterprise Mark. Part of a group of companies? If you’re the parent company or a subsidiary of a parent company, you could apply for the Social Enterprise Mark for the whole group at the same time. Why not all benefit from the status of being an accredited social enterprise and demonstrate that your entire company operates to the same ethos of ‘Trading for People and Planet’. 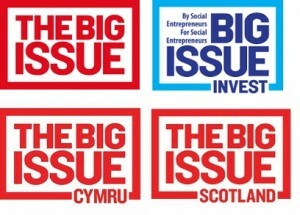 For example, The Big Issue Group, comprising The Big Issue, Big Issue Invest, Big Issue Cymru and Big Issue Scotland, holds a group licence for the Social Enterprise Mark. By submitting a group application, it is likely that you will benefit from a considerably reduced licence fee. For group applicants, the group’s combined turnover will formulate what their Social Enterprise Mark license fee will be, instead of each individual company applying for the Mark separately with separate tiered fees. To find out more about submitting a group application, please get in touch with Rachel on 07790908829 or [email protected] and she will answer your questions and could start your application for you today! Below is our Mark Holder checklist to make sure you can meet the qualification criteria. Please answer the following questions to see if you are eligible to become a Mark Holder. Do you have access to the most recent company accounts and governing documents (your company constitution i.e. articles of association) for your organisation? You will need to answer questions referring to relevant details from these documents, therefore it is important that you have access to the information they contain. Is your organisation independent, with its own constitution and governance? You will need to confirm that no other public or Government agency, or other private corporate bodies hold decision making control of the organisation. Does your organisation earn at least 50% of income from trading? You will need to prove that at least 50% of your income comes from trading. Trading income is defined as income from sales, fees, contracts, service level agreements but NOT pure grant awards, investment income, donations and loans. This information can be found in your company annual accounts. Has your organisation been operating for at least 1 year? If your organisation has been operating for less than a year, you will need to provide evidence that the organisation has started trading, e.g. business bank statement, VAT return, contracts in place. You will also need to pledge to earn at least 50% of income from trading within 18 months of achieving the Mark. Does your organisation have social and/or environmental aims, and are you committed to investing at least 51% of any annual profits in such purposes, as well as any residual assets should the business dissolve? Your constitution should ideally define your social objectives, but at the very least confirm that you are trading in support of a clear social and/or environmental purpose, and that a principal proportion (51% or more) of any profit made* by the business is dedicated to such purposes, as well as any remaining assets, if your organisation was to close. *Please note it is not mandatory that your organisation makes a profit, but at least 50% of any profit made will need to be dedicated to social/environmental purposes. Can you demonstrate that social and/or environmental objectives are being achieved? You must confirm how you have strived to fulfil your social purpose over the previous year. This involves answering a set of questions designed to explore this. If you are still unsure about whether to apply, please review the key benefits for your organisation.